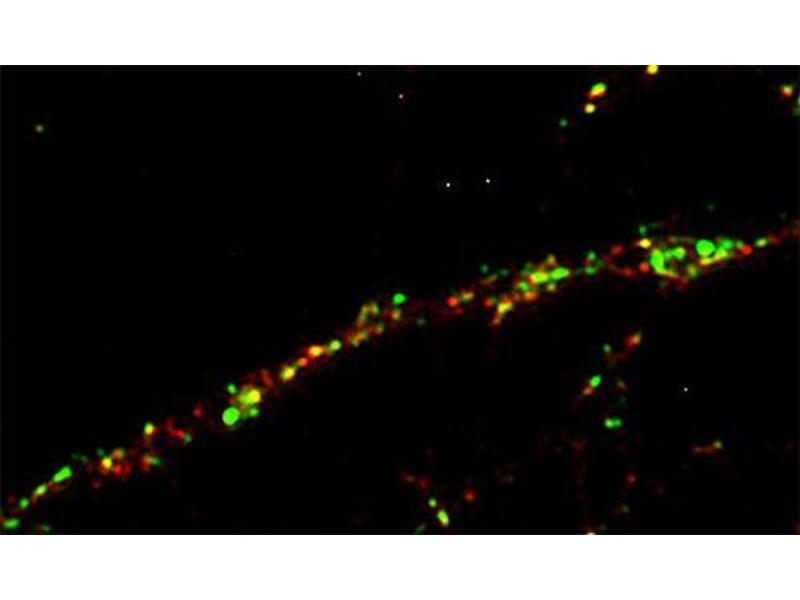 Immunostaining of a rat hippocampus neuron with anti-GRIP (dilution 1 : 100; red) and anti-synapsin 1 (cat. no. 106 001, dilution 1 : 500; green). 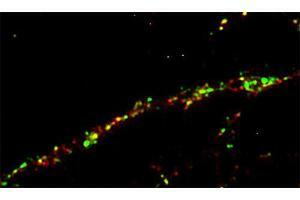 Positive clusters (red) can be found on the postsynaptic neuron juxtaposed to presynaptic nerve terminals (green). 特异性 Recognizes GRIP 1 and GRIP 2. 纯化方法 Affinity purified with the immunogen. Rabbit serum albumin was added for stabilization. 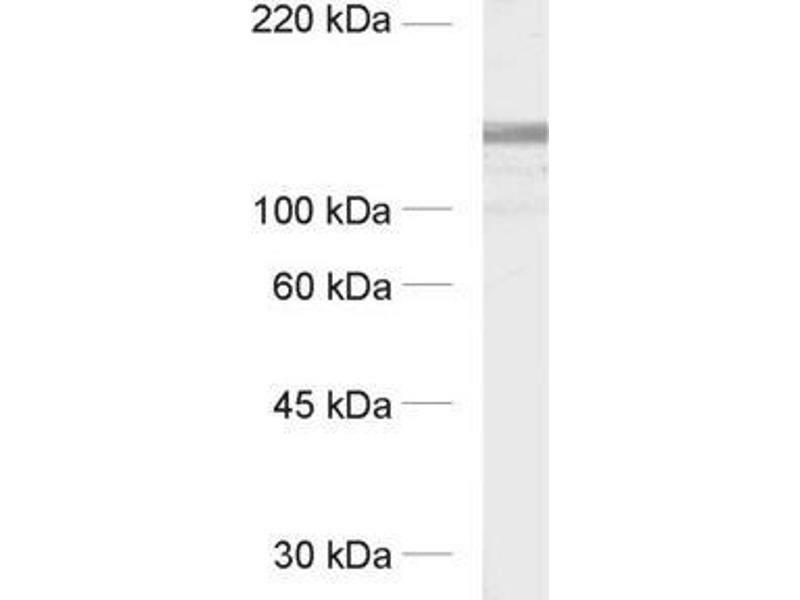 免疫原 Recombinant protein of rat GRIP (6th PDZ domain, aa 662-769). 溶解方式 For reconstitution add 50 µL H2O to get a 1mg/ml solution of antibody in PBS. Then aliquot and store at -20 °C until use. 注意事项 Affinity purified antibodies are less robust than antisera, since protease inhibitors are also removed during purification. Hence, storage at 4 °C for prolonged periods (i.e. several weeks), is not recommended. 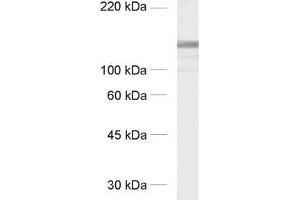 储存方法 Unlabeled lyophilized antibodies are stable in this form without loss of quality at ambient temperatures for several weeks or even months. They can be stored at 4°C for several years. Lyophilized antibodies must not be stored in the freezer, they may be destroyed!